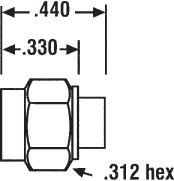 3183-1-9 SMA male RF connector from Coaxial Components Corp. also known worldwide as Coaxicom has an interface type of .141 and a 50 Ohm impedance. This SMA male connector uses solder/solder shield attachment and solder/solder contact attachment methods. Our male SMA coaxial rf connector provides a minimum frequency of DC and a maximum frequency of 18 GHz. 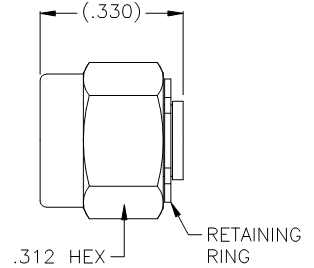 SMA male Coaxial connector has a VSWR of 1.25:1. 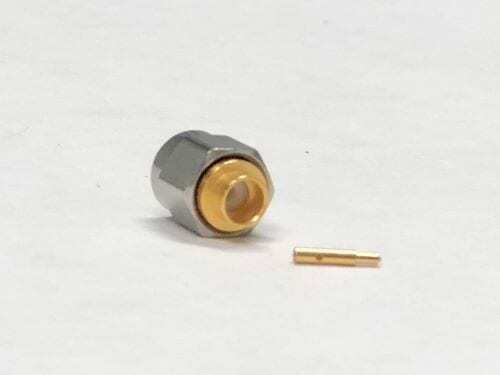 This Coaxicom SMA coaxial connector has a stainless steel body with gold plating. Our 3183-1-9 SMA connector uses brass contact and a gold plating material. This SMA male coaxial RF connector is RoHS compliant. Coaxicom male SMA connector purchases will ship the same day. Our SMA male .141 connector is part of a very large selection of RF, microwave and millimeter wave components in stock and ready for same-day shipment worldwide. We also build custom SMA cable connector assemblies that will ship quickly from our Stuart, FL location in the USA.